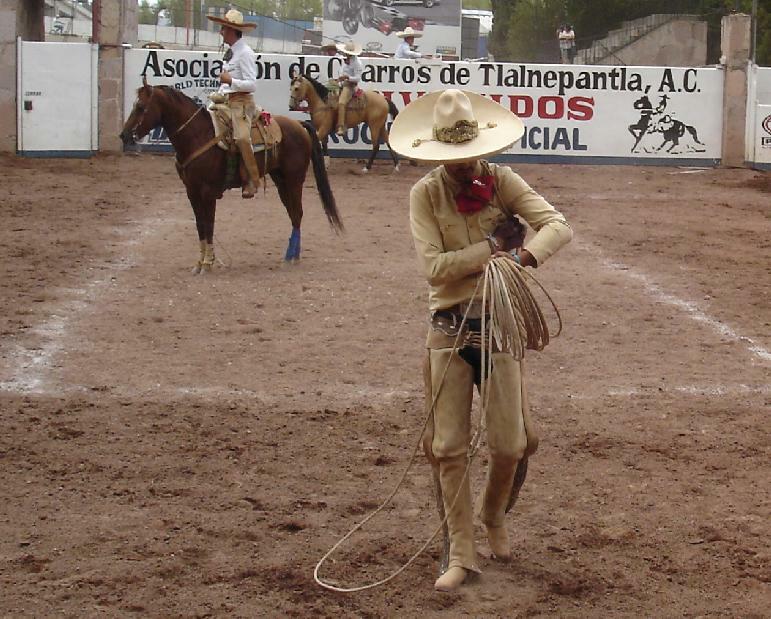 strengthMuscle strength and power that takes place in Charreada, that is, helps you develop both brute force compared with other physical activities or sports. 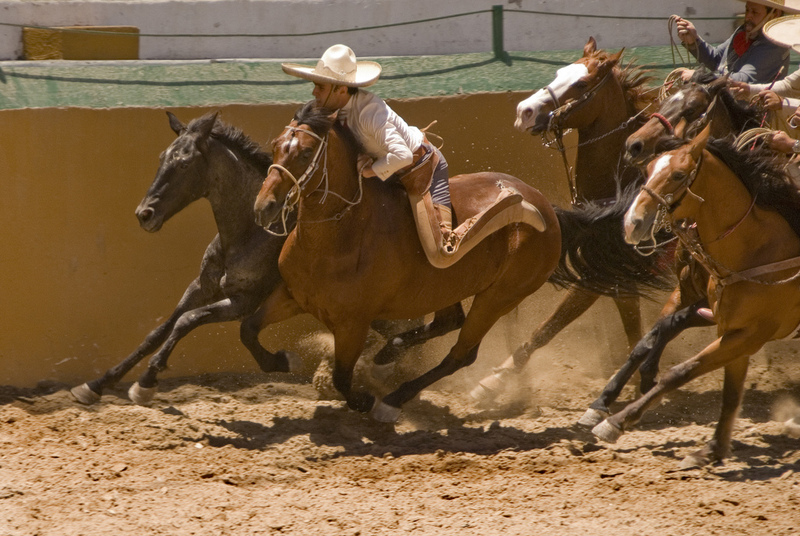 EnduranceCardiovascular endurance constantly providing Charreada practice, that is, how much help you cope ejercitándote long compared to other sports or physical activities. 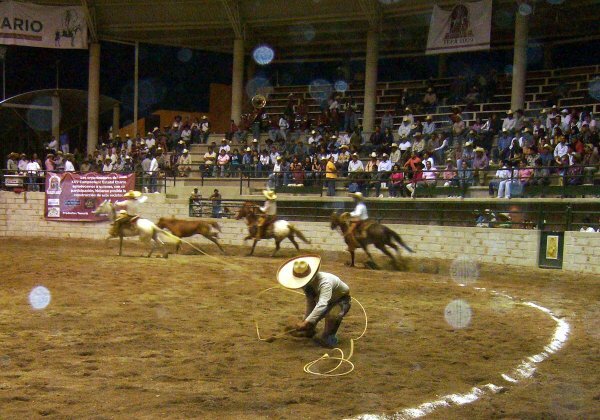 AgilityAbility to move the body as desired quickly and accurately obtained by practicing Charreada, constantly compared to other physical activities or sports. ReflexesAutomatic responsiveness to stimuli is achieved spontaneous Charreada, practice compared to other sport or physical activity. 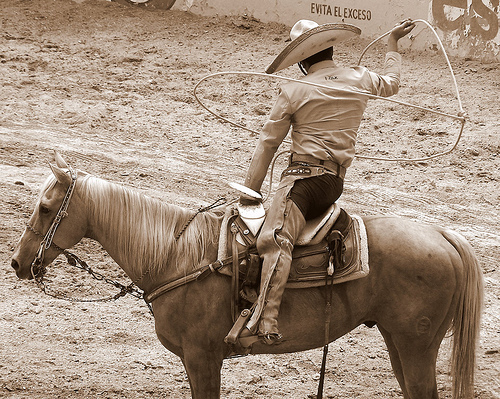 AccuracyHow much will dominate specific body movements to achieve the same result to practice Charreada, compared to other sports or physical activities. 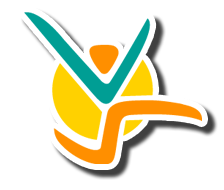 BalanceBoth are able to control the body's muscles to prevent the imbalance by making Charreada unlike other sports or physical activities. 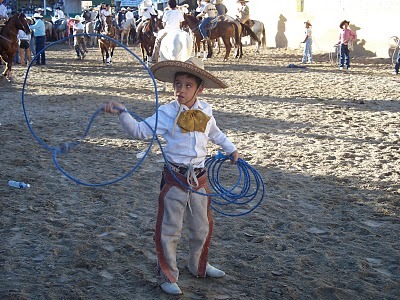 ConcentrationThe ability to focus mind and senses intention to achieve a specific goal that is acquired by practicing Charreada, compared to other sports or physical activities. ToningStylization of the body and muscle derarrollo pruduct of optimal levels of body fat that comes from Charreada, compared to other sports. Calorie BurningThat many calories are burned while practicing Charreada, when compared to other sports or physical activities. Mexican sport par excellence, the outfit, according to the event involved, is of four kinds: slaughter, half gala, gala and the great ceremonies. Usually wears a felt or palm hat, suede jacket, fabric, or blouse, suede pants with three weights on each side, shoes in one piece of either brown or fawn color, butterfly shaped tie and a holster revolver. The horses wear a chair skeleton or quarrying, lasso, brake and other harnesses. Natural fibers such as lettuce or maguey were used to make ropes and lasso. The deer skins to make resistant pants. Until the materials and their own invention available arose a style of clothing that eventually formed the actual Mexican charro attire. Some say that the pioneer was the chief chichimeca horsemanship Nicolás Montañez, who was allied with the viceroy Velasco I in the struggle for the conquest of Queretaro in the XVI century. Others claim that the Blessed Sebastián de Aparicio (1502-1596) is the true father of horsemanship. He was devoted to teach the natives both the arts of mounting as the care of horses and cattle. 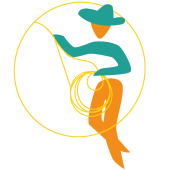 Large farms had cattle, cowboys and foremen, to meet their work, they began to develop skills that later became fun and performance activities in which the cowboys showed their skills in roping or fishtail the cattle.